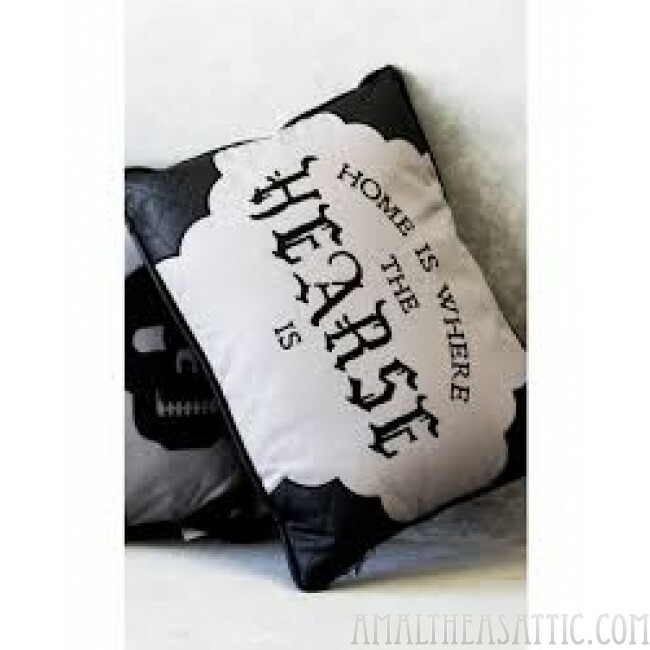 Forget traditional vehicles, we all know "Home Is Where The Hearse Is"! 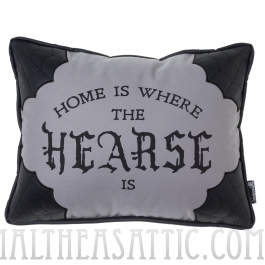 This pillow is made of gray cotton twill with our twist on a classic sentiment printed on the front. The black vinyl corners feature spiderweb stitching detail, while solid black vinyl covers the entire backside. 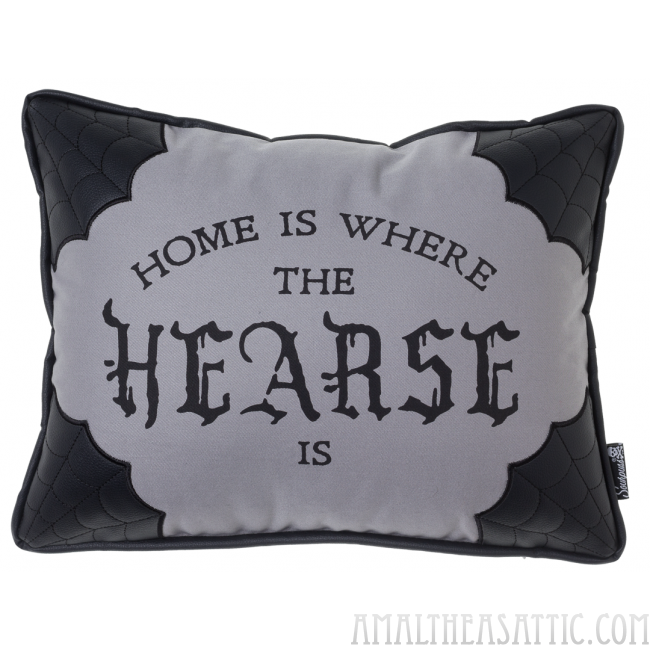 It'll look great tossed on your couch, chair or bed!